What better way to celebrate Good Food Month than with a zippy round up of the best new restaurants, cafes, and bars in Melbourne town! Here are the local openings that have us buzzing right now. October saw some smashing new Melbourne restaurant openings, including Gradi swinging open the doors to a 300-seater in Crown. Yup, it's the sister joint to the famous 400 Gradi in Brunswick East and you can definitely grab a slice of the famous world's best pizza here, plus a bunch of new Italian dishes, and a killer coffee dessert calzone. Heartattack & Vine set up shop on Lygon Street, a modern reincarnation of a Venetian cicchetti bar, and the perfect spot for a pre-work espresso and pastry, or post-paperwork porchetta ciabatta and a glass of vino. Altius Coffee Brewers is another new CBD addition that's a cut above—a petite coffee spot serving up Market Lane brews (owners, Hannah Alderton and Jarrod Pageot, were formerly Market Lane baristas), plus a selection of cakes and sweet treats. For something completely different, head to The Grounds at St Columbs in Hawthorn. This super-sweet café, located within the grounds of a church, is currently just dishing up great coffee from Code Black and Humble Patisserie pastries, but a full café menu will be in play during November. Image credit: Heartattack & Vine Facebook. Set to open this weekend is Bayside's shiniest, coolest new café and drinkery. With an Eades & Bergman fitout and Seven Seeds brewing round the clock, Ebenezer Coffee & Wine Bar is worth the petrol miles from the CBD. An inner-city vibe in a scenic spot. Hands up who's stoked about Mr Claus's imminent arrival? Oh, sorry, I mean Mr Claws. Who else can't wait for Mr Claws? Confused yet? So am I. But I digress. The folks behind some of Melbourne's best burgers (that'd be the Huxtaburger crew, then) and the ever-popular Huxtable on Smith Street are bringing lobster rolls to the Melbourne masses with Mr Claws, launching at Taste of Melbourne. What's on the menu? Chunks of sustainable lobster in a Huxtaburger-esque roll (drool) with a selection of sauces, such as miso and wasabi mayo, and herb and buttermilk. A permanent venue for Mr Claws is yet to be revealed, but you'll be able to get your paws on Mr Claws not long after Taste rolls out of town. Also launching during the epic food month that is November is Gogi—a Korean food truck from our mates at Hammer & Tong. Launching at the Melbourne Night Noodle Market, we're told to expect carnivorous goodness from the newest Melbourne food truck; after all, 'Gogi' is Korean for meat. We can't wait to wrap our gobs around a Gogi Dog—a Korean-inspired hot dog, plus the beef and spicy pork tacos and finger-lickin' Korean fried chicken. November seems to be a good month to launch a food truck in Melbourne, with Danger Dogs dishing up Mexicali street food (Mexican meets Cali) from tomorrow. Our pick? The Danger Dog itself –a bacon-wrapped hot dog topped with grilled capsicum, onion, mayo, mustard and ketchup. Glorious. Craving some delicious dumplings and the smoked chicken salad from Charlie Dumpling but want it to go? Well Urban Listers, your prayers have been answered with the opening of Charlie Dumpling Jr, a dedicated takeaway outpost mere steps away from the parent restaurant. All your faves are available here and available for both lunch and dinner - win! 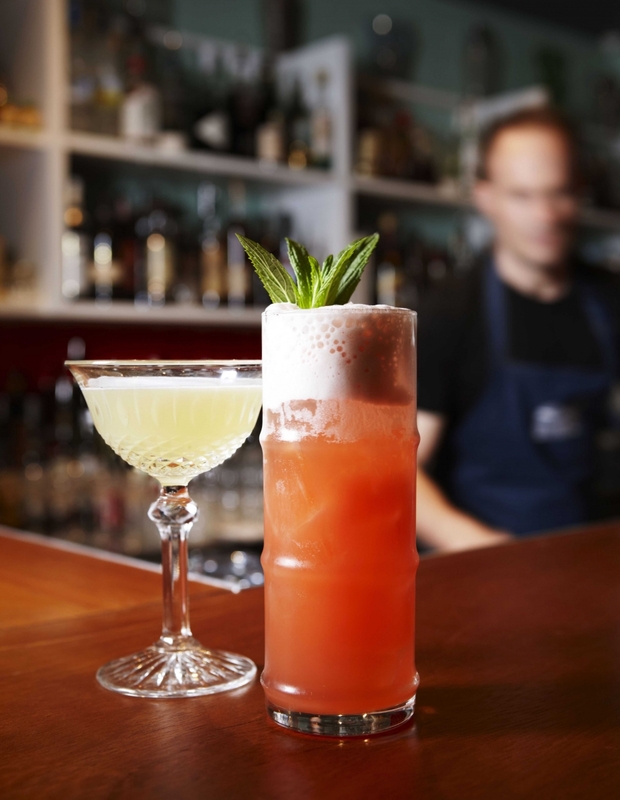 Buit wait, there's more...the Charlie Dumpling team have also opened Ba Charlie, a speakeasy style bar that has a secret entrance within Charlie Dumpling Jr. The perfect spot to wait while your table is prepared, or even just for some catchup drinks with friends, B? Charlie is worth seeking out! Table Lamp Restaurant & Bar will be bringing Asian fine dining to Little Lonsdale Street, with gorgeous Balinese-style surroundings. Set to open on the 22nd, we are already salivating in anticipation of the buttered soft shell crab wrapped in flaky roti. With a cult following among South Yarra sweet tooths, Luxbite opened a grab-and-go CBD outpost, T by Luxbite. On Flinders Lane, you'll find the most eye-poppingly gorgeous tarts, inspired by Asian flavours such as chilli and lime. They're almost too pretty to eat, but by golly you'll be glad you did! Everyone's favourite home of superfood smoothies, protein balls, acai bowls, and healthy salads, The Nutrition Bar in Richmond is expanding. Next cab off the rank is a new Nutrition Bar in Windsor, opening mid November with an extended menu offering and more take-home meals. A third Nutrition Bar will open in St Kilda road's Oracle Office block in December. Speaking all things clean eating in Melbourne, November is going to be a little like Christmas for the healthy eating set. George Calombaris is opening a 'clean eating' restaurant in Kew called Mastic. Mastic will have a focus on wholefoods and organic produce, and will open on Cotham Road on 26th November. Nourished:385 calls itself Melbourne's newest clean eating café/ bar/ restaurant. Open on High Street in Prahran from mid November, the healthy menu will include gluten-free options, freshly made juices, and an organic, preservative-free, biodynamic wine list. Can. Not. Wait. Also opening in Prahran is L'Hôtel Gitan – the latest offering from the Reymond dynasty. The gastro pub will serve up delicious French and European fare from 28th November. Jumping ahead, we are pumped for the arrival of Easey's this December—a five-storey diner on Collingwood's Easey Street. It's a project from Jimmy's Burgers himself, so you can rest assured the burgers will be some of the best in town. For the diet-disciplined, the ground floor will also feature a wholefoods café called Caboose. Oh, it's the building with trams on the roof. You can't miss it. Main image credit: Luxbite Facebook.